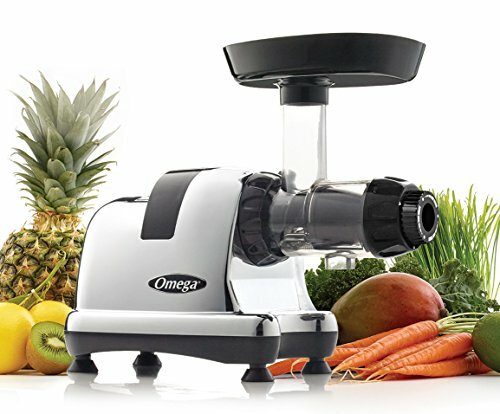 One among many others to consider is the Omega Juicer and here is the Omega 8006 and 8008 juicer comparison to help those still confused to make the right decision or find the actual difference between Omega 8006 vs 8008. You should know that both are good masticating juicer with similar features and design with little difference. Omega 8004/8006 is 4th generation model and Omega 8007/8008 is 5th generation model. Omega J8008 has bigger feed funnel compared with Omega J8006, so you can have more items on it with 8008 version. Omega J8008 is fully 100% BPA free where J8006 contain some BPA. Omega J8008 has bigger screen area and in the front screen is stainless steel but the old j8006 has a plastic front screen. Stainless steel is easy to clean with a brush. Those are the differences between Omega 8006 and Omega 8008. The only quite known difference is that the Omega 8008 produces a little more juice than Omega 8006 and both have the different color to make the difference more obvious to everyone. What about 8004 vs 8007? Omega j8004 is identical to Omega j8006 just color difference. Same with omega j8007 and j8008 only color difference.